There are several ways you may be able to get help paying for child care so you can become self-sufficient through work while giving your child an enriched early care and learning environment. The Colorado Child Care Assistance Program (CCCAP) provides financial assistance to low-income parents that are teens and in school, working, looking for work, or in training, as well as families enrolled in the Colorado Works Program. Locally, this program is administered through the Montezuma and Dolores Counties Department of Social Services. You can go by the office in Dolores or Cortez to pick up an application and see if you’re eligible. If you qualify, you can choose a licensed child care center, a family child care home, or family, friend, or neighbor. You’ll want to check out the quality of the care you choose using the tools and advice under the Choosing Quality Child Care section of this website. You’ll have to pay part of the costs of child care directly to your provider at the beginning of each month in order to stay in the program. The Colorado Preschool Program, created by the Colorado General Assembly in 1988, serves young children who have family, economic, or developmental issues that put them at-risk for school failure. There is no fee and children can attend preschool for 10+ hours/week during the school year. Many programs have waiting lists, however. Click here for contact information to see if your child qualifies. 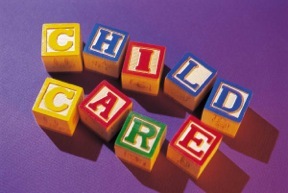 If your child doesn’t qualify for CCCAP, check with the Child Care Resource and Referral Specialist for other options. The Earned Income Tax Credit is a refundable tax credit from the IRS for low income families, and gives a boost toward self-sufficiency. This is an important program but too few families know how to apply for it. There are other tax credits for low income earners that help bridge the gap between what is earned and what is needed to get by. Be sure and take advantage of Tax Help Colorado, a partnership between the Piton Foundation and the Colorado Community College System, that offers free tax preparation help to people who make less than $50,000. 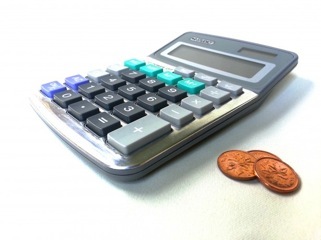 They will also help you claim tax credits you are eligible for! Southwest Colorado Community College participates in this program. Visit the Piton Foundation website to find the 2014 Tax Help Colorado sites. You can also call 2-1-1 for free and ask about free tax preparation help.